The Mosherpit: Behold the Glory! Because everyone needs to see the glory of Guy Gardner riding a unicorn. While wielding the Black Knight's sword. 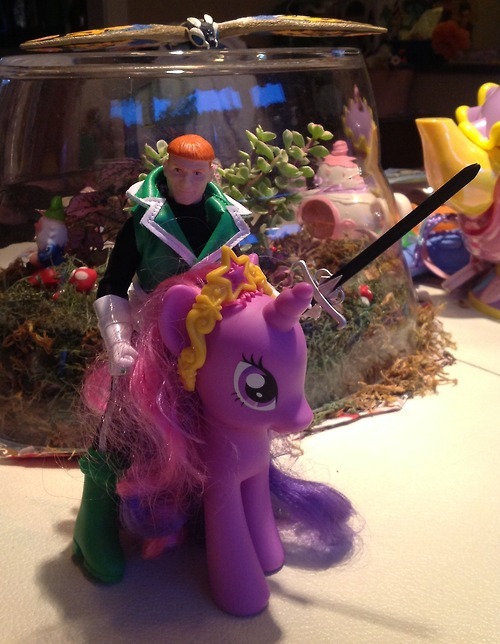 Had to borrow the pony from my daughter, as she has all the best unicorns.